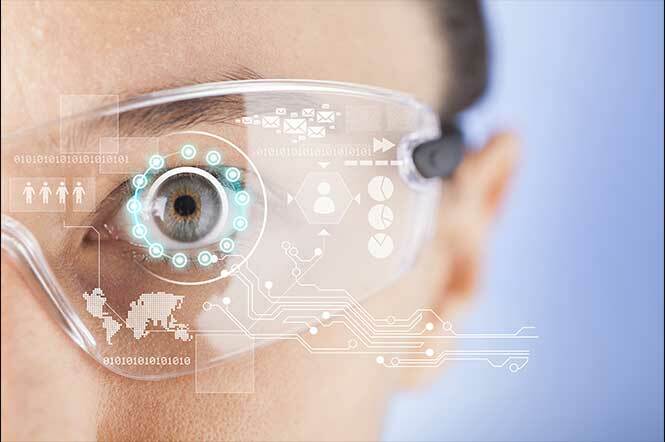 If you’ve scanned the most recent headlines, you know that wearable technology is dominating the news as the latest big thing since cell phones. Google, Samsung and Apple have jumped on the wearables bandwagon, releasing their version of the watch-like device which has mostly centered on consumer use. However, wearable units are gaining speed in the business world as well, including the manufacturing industry. There is a huge amount of potential in this area, as the use of voice recognition systems, scanners and other portable devices has been widespread for some time. As the next generation of wearables evolves, bringing video capture, GPS tracking and other features to our wrists, it’s worth taking a look at how they might function in manufacturing – both the good and the bad. As they become more advanced and customizable for a variety of needs, wearables show great promise as solutions for manufacturing companies. Efficiency: The most effective technology is that which is never too far away, as distance requires additional steps, time and workflow processes. A wearable device means your employees aren’t scrounging for a scanner or leaving an essential device several rooms away. They’re no longer wasting time on technology; they’re actually using it to improve operations. Productivity: While it’s closely tied to efficiency, the productivity boost you can attain from use of wearables is undeniable. From regular employees to your contingent workforce, these devices can track what they’re doing and how long it takes to accomplish their designated duties. Your workers are less likely to become distracted, so their focus remains on the task at hand. Accuracy: There’s no room for mistakes in manufacturing and wearable units ensure that all data collected and distributed won’t suffer due to errors. Production and logistics stay on track, and managers have a more practical, big-picture view of the entire process. Customization: The manufacturing world is constantly changing, with varying production demands and cyclical needs. Wearable devices are easy to customize to account for fluctuations. You can also set up profiles for different personnel groups, including permanent employees and contingent workers. Plus, you don’t need a separate IT team for implementation and management. As with any technology, wearable devices have their downside. Cost: Put simply, wearable technology is expensive when you consider the number of people you need to equip with one. Due to the nature of the manufacturing industry, you may need to retain the services of contingent workers in addition to your regular staff; these individuals work more efficiently when armed with wearables, so you’ll need to account for the additional costs. In addition, wearable devices don’t work in a vacuum, so you’ll need to integrate them with your existing management software or invest in new solutions. Regulations: Wearable devices can be treated the same as jewelry, which is known to be forbidden in facilities with manufacturing lines. With restrictions already in place for safety, breaking through this barrier may be a difficult task. Management & Micro-Management: At least part of the value in equipping your workforce with wearables is to automate routine tasks. This frees them up for jobs that technology cannot handle, making them more productive. However, these solutions don’t necessarily increase efficiencies from a management standpoint. There’s a significant amount of time involved with monitoring the devices, setting up permissions, running reports and analyzing data. It’s easy to understand the draw of wearable technology. These devices can boost efficiency and increase productivity in an industry that’s always changing. However, before the manufacturing industry jumps in with both feet, companies need to consider the cons as well as the pros. Clearly, wearables aren’t meant for every business, so owners need to look at both sides before making a significant investment.